When you’re saving the planet and saving money on fuel at the same time, it’s hard to go wrong with investing in an electric car. Hybrids that require plug-ins provide an extended number of miles before the classic gasoline engine kicks in, but electric vehicles are able to bypass gas stations all together. Known as the industry leader for electric vehicles, Tesla has released the all-new Model X. And it’s promising to be the most fuel efficient vehicle out there. Whether you’re in it for the impressive speed, the top efficiency ratings or the Falcon Wing doors, the Tesla Model X is the most popular electric vehicle on the road right now. The Model X combines safety and comfort to produce a sleek, luxurious sports utility vehicle like you’ve never seen before. It offers all of the pros of an SUV without the compromises. Differing from the previous Tesla Model S, a third row of front-facing seats allow room for up to seven passengers, and the Falcon Wing doors provide easy access from the front and rear. Doors need only one foot of clearance to open upwards, staying out of the way. Boasting 250 miles of range and 92 miles per gallon equivalent thanks to its superb aerodynamics, the Model X has the best drag coefficient among SUVs in its class. According to Car and Driver the standard 90D trim level accelerates from 0 to 60 miles per hour in just 4.8 seconds. Even more impressive, the acceleration of an optional P90D trim clocks in at an incredible 3.8 seconds. This trim can reach speeds of 155 miles per hour and produces 762 horsepower and 713 pound-feet of torque. According to Edmunds, the first line of Model X cars has sold out but with advanced reservations you can have the new model delivered by the second half of next year. From never having to worry about oil changes again to the available federal tax cuts, buying an electric car has a number of benefits. 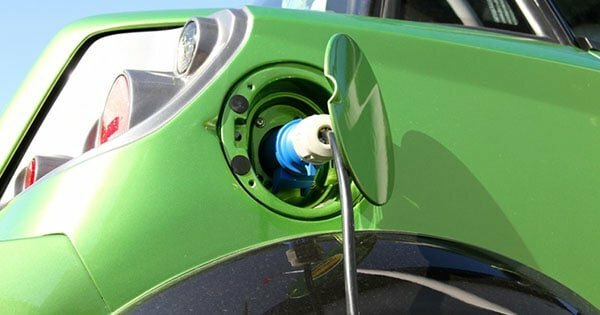 Although the initial cost may be pricey, lower long-term maintenance costs and the amount that you’ll save by avoiding the gas pump may encourage you to look into electric models. After the Tesla Model X, what are the top electric vehicles on the market today? 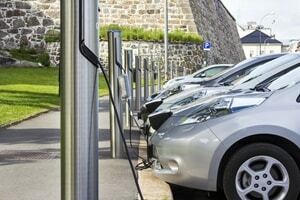 The Nissan LEAF is among the top of the rankings when it comes to value for your money. Starting at just $29,010 before tax credit, the LEAF gives the equivalent of 114 miles per gallon according to EV Obsession. Sporty and fun to drive, this is the ideal model for electric car shoppers on a budget. If you just can’t wait for the next line of Model X cars to arrive, why not invest in the equally fuel efficient Tesla Model S? According to the Clean Fleet Report, it was the top selling plug-in car nationwide for the first half of 2015. The model not only offers an impressive electric range of up to 300 miles per charge, it’s also fast. The all-wheel drive model in the P85 trim accelerates from 0 to 60 mph in just 3.2 seconds. Prices start at $71,200 and offer two battery pack configurations. Versatile and stylish, the Chevrolet Volt is an electric car that also has a gasoline engine. During electric mode it gets 38 to 40 miles of range and when fueled by gasoline it can get 380 to 400 miles per gallon. Compact but boasting a spacious interior, the Volt is perfect for small families. Before federal and state incentives, prices start in the mid to upper-level range at $34,170. Whichever electric car — or non-electric car — you decide to purchase, be sure you’re not paying too much to insure it. Compare prices and see if you could be saving money, and saving the planet at the same time.